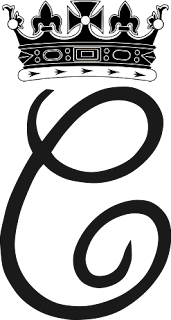 The Duchess of Cambridge was granted her own coat of arms by the Queen, following her marriage to the Duke of Cambridge in April 2011. 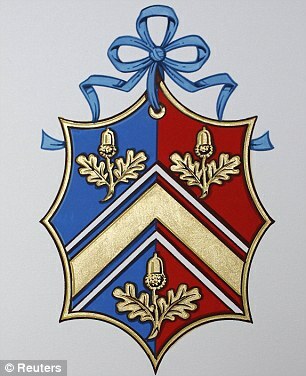 The Duchess of Cambridge's coat of arms. The design shows a shield with the left half derived from the Duke of Cambridge’s coat of arms and the right half from the Middleton family coat of arms, granted to Catherine's father Michael shortly before the Royal Wedding; in heraldic terms, this is known as an impaled coat of arms. The Duke of Cambridge was given his own coat of arms to mark his 18th birthday in 2000. 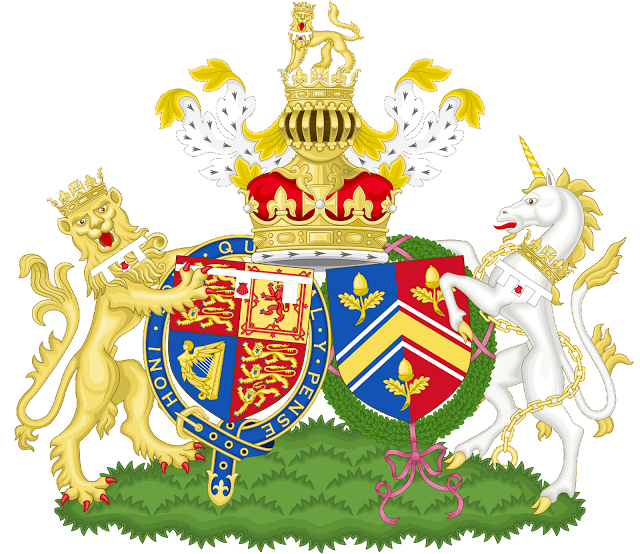 The Duke of Cambridge's coat of arms. The coat of arms used by the Duchess prior to her wedding, displayed on a "lozenge" suspended from a ribbon as befits an umarried daughter. 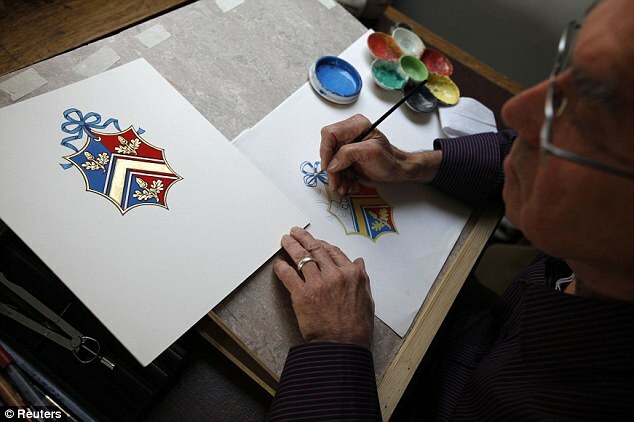 The Middleton coat of arms was granted to Michael Middleton before the Royal Wedding, and was designed at the College of Arms in London. The gold chevron, which sits at the centre of the design, represents Mrs. Middleton, whose maiden name is Goldsmith. The two thinner white chevrons, which sit either side of the gold chevron, allude to hills and mountains and represent outdoor pursuits that the family enjoy together. The colours blue and red were chosen as they are the principal colours from the flag of the United Kingdom. Catherine carried this coat of arms into her marriage, to be placed beside that of her husband in what is known as an impaled coat of arms. 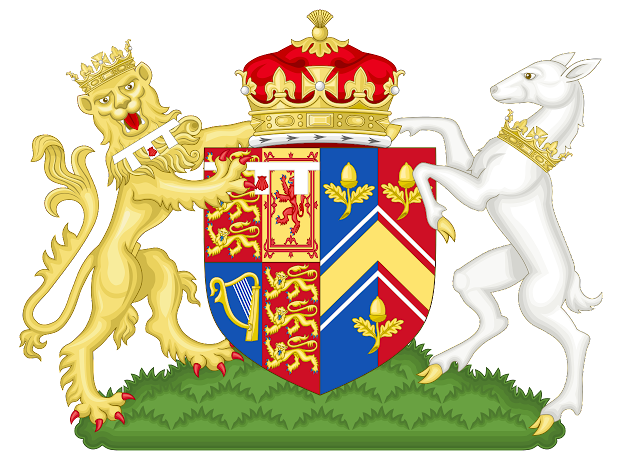 Following her marriage, the impaled shield is now supported by a lion, taken from Prince William's coat of arms, and a white hind (a female red deer) and is surmounted by the Duke of Cambridge’s coronet. This is the coronet laid down by a Royal Warrant of 1917 for the sons and daughters of the Heir Apparent. 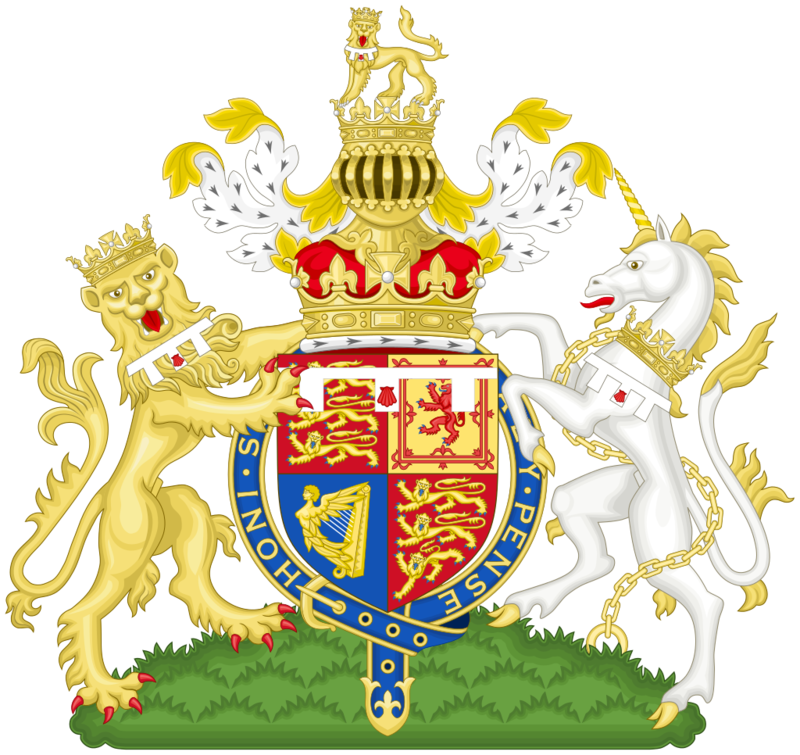 The red escallop on the lion's neck is derived from the Spencer coat of arms, which has been used by Prince William's ancestors on his mother's side for many centuries. The white hind has had a long tradition of connections to the Royal Family in England since the fourteenth century. It wears the Duke of Cambridge's coronet about its neck. In addition to their own individual coats of arms, the Duke and Duchess of Cambridge have a conjugal coat of arms which will represent them in heraldic terms as a married couple. Conjugal coat of arms of the Duke and Duchess of Cambridge. The Duke’s shield on the left shows his version of the Royal coat of arms granted to him by the Queen on his 18th birthday, surrounded by a blue garter bearing the motto "Honi soit qui mal y pense"('Shame to those who think evil of it'), which symbolises the Order of the Garter, of which he is a Knight Companion. On the right, The Duchess’s shield is from the Middleton family coat of arms, granted to the family in 2011 ahead of her marriage, and is surrounded by a wreath of oak, to balance visually her husband's garter. 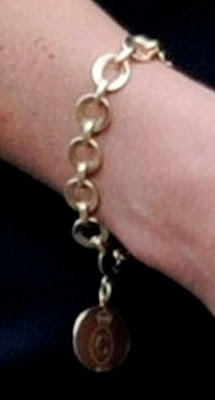 This is traditional for Royal Spouses who are not themselves entitled to surround their Arms with an order of chivalry. 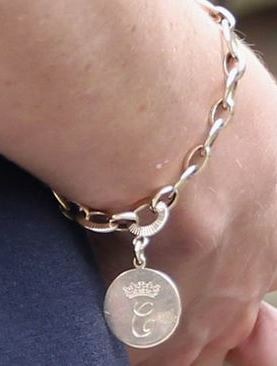 Catherine owns a gold chain bracelet with disk pendant emblazoned with her monogram on one side and the Duchess of Cornwall's monogram on the other, which was a gift from her step-mother-in-law and which she wore very frequently in the early days of her marriage. The two sides of the disc, with Catherine's (left) and Camilla's monogram (right).